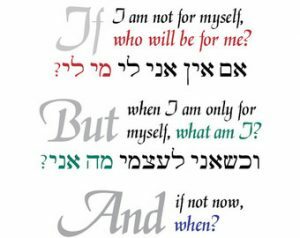 “You shall be holy unto Me because I, God, am Holy. Three times in Exodus and Leviticus, this commandment is expressed. Just what does it mean to be Holy? What does it mean to be Blessed? Since God is love and the Presence that infuses all things with the life energy and constant unfolding, it could be said that when we are being Holy it is us simply ‘God-ing’. It is us reaching out to others with compassion and in connection, noting only that our differences are mostly protections – the ways we mask our deepest hurt and fears. For example, if I feel inadequate, then I might judge you as inadequate to bolster me up. When we move beyond our hurt and fears, never looking to repress them or reject them and not being run by them, our pure humanity shows up. On Rosh Hashanah it is written…On Yom Kippur it is sealed…. 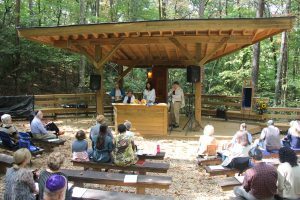 The Rosh Hashanah and Yom Kippur liturgy focuses on blessings and curses. We have an intuitive sense of being Blessed. It has to do with when we accept the parts of ourselves we like and the parts we don’t like. Blessing is when we realize that there is something much more meaningful and deeper than our hurt, fears and inadequacies. Blessing is when we connect with others authentically and not superficially – from our Higher Self. Blessing is our Higher Self, which is defined by the Jewish Mystics as the Soul always connected to the Divine. It is the part that makes us all Divine and connected in Divinity. Let’s address one area of our lives that can get in the way of being in our Higher Selves – our language and how we communicate with each other. In recent years, it seems that slander, lies and hurtful language has become wide-spread and has become the norm. The Torah in several portions, as well as our High Holiday liturgy talk about Blessings and Curses, and what we need to do to be Blessed and what we tend to do to be cursed. The childlike past of us sees blessings and curses as reward or punishment meted out by a Divine Judge. Let’s explore this differently – let’s take the view that there are no blessings or curses from out there somewhere. Let’s go with the possibility that being Blessed is what happens when we are living from our Higher Self and we are accepting of others. We see the humanity behind opposing views and beliefs. We can seek to understand those who hold different views, even while we disagree and might work against those views. We can also acknowledge our circumstances without blaming others or demonizing others. Our circumstances are just what they are and we get the choice of wallowing in our circumstances, holding others responsible or, we can choose to grow from them, to rise up from them, renewed. Lashing out at others verbally or trying to destroy the other with innuendo and lies is not coming from a place of Blessing. On the other hand, to be Cursed is when we act mostly from our dark parts, disconnected from others, demonizing others and making anyone different from us as less than human and evil. In its worst form, we are even driven to personally demean them, destroy them professionally or even kill them. We are all witnesses to the choice of Cursed-ness in the form of words. Cursedness shows up in the nasty ways we speak to each other and when we are not present to others. We are taught that speaking one’s mind is honest and open sharing. However, in my lifetime, I have never seen our society devolve so deeply and become filled with such venom in how we treat one another. What makes matters worse, it seems like we have made it OK to openly discriminate, to personally attack and to destroy others with lies and half-truths in public and especially on social media. In my view, the lying has reached dangerous proportions and it needs to stop. It is “devolving” us, rather than evolving us. Let’s explore what our Jewish texts teach us about the evil tongue – leshon Ha’Rah and hurtful speech. In the Talmud, Gemara Tractate Niddah 66a, the text shares a discussion between Rabbis. Rabbi Yochanan once was visited by a woman who emerged from the monthly ritual immersion and observed a discharge of blood. He said to her, “It is because of the gossip of your townspeople that has caused this affliction. Arrange to be with your husband away from the town and near the riverside.” For a moment, let’s put aside the male discrimination against women of this text, we can still examine the symbolic meaning of the text. In an observant home, the woman goes to the mikveh for ritual immersion when she is getting ready to ovulate, therefore, there should be no discharge of blood. However, one interpretation of this text is that lies and innuendo can severely wound our most innocent, vulnerable self (represented in this text by the marital relationship between sacred partners), hence the shedding of blood. She, representing all of us must leave the town and abide by the spiritual water for fear of deeper wounding. This is what happens with our words. This is the personal destruction we are seeing and my fear is that physical violence or bloodshed could ensue. We are commanded by our tradition and biblical texts to speak truth to lies. We are commanded to stand up against real tyranny, oppression and suffering. Let us be mindful as we speak out against evil, not to demonize the other. In the same way, we don’t not need to generalize and lump an entire group of people into the evil acts of a few. When we spread lies – when we twist words and events and create conspiracy theories, it is as though we are shooting others with the arrows of our words. In the Talmud, Arachin 15a, the discussion is about the punishment of our forefathers in the Wilderness because of their lies. The text sources Numbers Chap 14 verse 22, where the 12 spies were sent into the Promised Land to scout it out for the Israelites. The text states, “For it was the 10 of 12 spies who exaggerated about the size of the people in the Promised Land that banned them from ever entering.” In fact, the Talmud continues, “Whence do we know the power of the evil tongue for it happens that those who brought back an evil report of wood and stones, how much more will it happen who brings us an evil report against his neighbor. Thus was the judgement against the 10 Spies – their words of exaggeration caused great fear among the Israelites who then did not want to move forward.” It was only Joshua and Caleb who brought back a realistic report and they were rewarded. It was Joshua, who then led the Israelites into the Promised land. This text reminds us of the dangers of demagoguery. Shaaray Teshuvah (Gates of Repentance) 3:222 – “The damage that can be wrought by gossip-mongering is incalculable. It brings hatred between people, and therefore causes them to transgress the prohibition of “Do not hate your brother in your heart” [Vayikra 19:16]. The world continues to exist only based on peace, and one who peddles hate causes the world to fall apart. One by one, twenty here, a dozen there – feathers flying through the air. The little boy was terrified and he tried to gather them, but to no avail. Catching feathers flying through the air is an impossible task. The moral of the midrash is that words, like feathers, once released into the breeze are elusive to catch and impossible to bring back, The feathers fly far out and far wide and there is no way to catch words once released. A word said becomes a word you cannot unsay. What is another option for human communication, whether it is with our families, neighbors or whether it is at work or other social gatherings? We might live from what Leviticus teaches us. Every world religion has some version of what Hillel interpreted from Leviticus 19:18 “that which you don’t want done to you, don’t do to your neighbor”, or as we mostly know it, “love your neighbor as yourself.” In this way, we can disagree, while also acknowledging that the other is human just like us. Their views and opinions are shaped by their history and experience, just like ours. It might even help to get into their shoes and wonder what would have them feel as they do – what events in their lives led them to the views they hold. Blessings and curses are the natural consequences of our chosen behavior and the words we speak. While it is OK to have our opinions and to share them, it is like shooting another with a bullet you cannot take back when those words are slanderous, untrue, half-true or based on conspiracy theory. This New Year, please take the time to look at the feather pillows of your lives. If you can cut the pillows open and if your feathers represent love, compassion, empathy, then you will experience blessings. If your feathers spread lies, misunderstandings, demonizing generalizations, or other hurtful speech, then you might experience the negative consequences of curses. It is up to each one of us all to bring our culture back to a respectful, accepting and democratic norm. Blessings come from relationships where we might disagree on our views, yet we hold each other as the Divine creations that we all are, imperfect and wonderful human beings. In each new moment, choose to be a living example of the world you want to create. A world filled with compassion and acceptance. A world the way God would want it to be. A world where the God in you honors the God in the Other.